Men’s health in the country is in crisis. Garron Gsell, chief executive and founder of the Men’s Foundation, made this assertion this week. 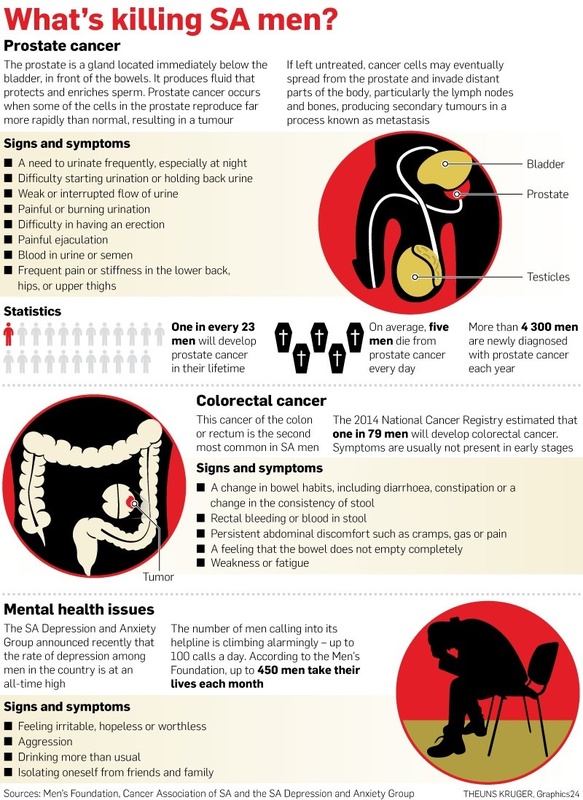 He was referring to the rising number of suicides among men and male students; the fact that one in 19 men risk getting prostate cancer; and testicular cancer being the most common cancer in men aged 15 to 39. This is Movember – a month when the country’s “bros” grow their moustaches to highlight and create awareness about men’s health issues, including mental health. “We’re alarmed by the increasing number of men who take their own lives in South Africa and around the world. “In South Africa, on average, 14 to 18 men die by suicide every day, three times more than the number of women. Globally, three out of four suicides are men,” Gsell said. “We believe this is because too many men try to deal with challenges on their own and suffer in silence. “Besides reducing the stigma surrounding depression and mental health, men need to realise that whatever they are going through, it’s important to know a simple conversation can make all the difference,” Gsell said. 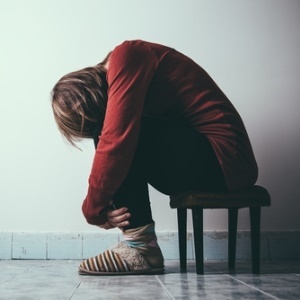 The SA Depression and Anxiety Group said of the nearly 100 calls that come through to its suicide helpline every day the most came from men. “We know from epidemiological research that more men are likely to go through with ‘proper suicide’ than women and that men carry out violent suicides, such a shooting themselves, gassing or hanging, whereas women will choose to overdose on pills, for instance,” psychiatrist Frans Korb said. “The problem is that men are silent and will not talk about their problems … and I think that’s the biggest message we need to put out, men must talk. “The main issue of stigma – which plays a huge role in men not talking about their health issues – is understanding. One fears not being understood,” Korb said. Gsell said on average men die younger – by about six years – than women and often for reasons that are largely preventable. What are the reasons men don’t openly talk about their problems? SMS us on 35697 using the keyword SUICIDE and tell us what you think. you agree to receive occasional marketing material.